When we look for a holiday, there are normally some factors we follow before booking up. One of those factors – for most of us – tends to be budget and deciding if our choice is the best value for money. We have the solution to all your problems – with a selection of our top 8 best value destinations of the moment! No wonder Thailand has become one of the ‘go to’ destinations of recent years with it’s stunning ‘paradise-like’ scenery, cheap as chips cuisine as well as luxurious accommodation for half the price it would be anywhere else. It is simply hard not to choose a reason to visit this fantastic island! Turkey is known for it’s bargain beach deals but nowadays it has become a more sophisticated all-round holiday destination. A great value destination whether you are wanting a city break, culture trip or a luxurious stay – Turkey is a place that offers these in abundance all year round! If you are looking for a top holiday beach break that won’t stretch your budget, then look no further than Bulgaria. An all year round destination for holidaymakers, Bulgaria offers Sunny Beach for the summer months where you just want to let your hair down as well as amazing winter ski packages: some of the cheapest in Europe! Still a destination hard to beat when it comes to value, Egypt offers extremely sunny summers AND winters, cultural tours as well as luxury accommodation at a fraction of the cost of other destinations. Another all rounder, whether you are visiting as a family, couple or friends, this one will ensure you will have the best time without breaking the bank. Immerse yourself amongst the lush island of temples and rainforests or sit on the soft golden sands of the beautiful beaches, Sri Lanka has everything you could possibly want from a luxury holiday at a fraction of the price you would expect! Visit the resorts of Negombo and Hikkaduwa for the best value luxury villas on the island! Once valuing itself as a high-end slightly more pricey destination, Dominican Republic has reinvented itself as a location fit for all in recent years dropping it’s prices to cater for the family orientated and budget seeking holidaymaker. The staple for any British tourist would be to visit Spain. However, being overtaken in value by other destinations, the shine has been taken away from this once budget and value central destination. Although it is hard to beat the all year round sunny weather and exciting night life that the Canary Islands holds making it still one of the most visited destinations by tourists far and wide. An up and coming holiday destination, Croatia offers good value as well as added charm and an alternative experience hard to come by these days. Not overwhelmed by large restaurant chains and hotels, Croatia offers everything at a smaller scale and lower key allowing visitors to search for authentic cuisines offering the best value. 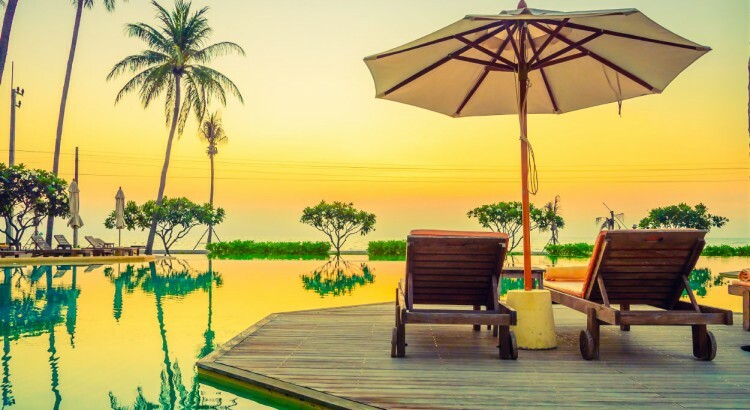 Here at Barrhead Travel, we like to make things easier for you – so whether you are looking for that top value destination we are here to help you plan the holiday you desire with a fraction of the hassle and with a fraction of the cost. A Festival, a Month, for a Year!